This is a rectangular Chicago Public Telephone Company porcelain sign. This particular Chicago Public Telephone Company sign is white with black text. 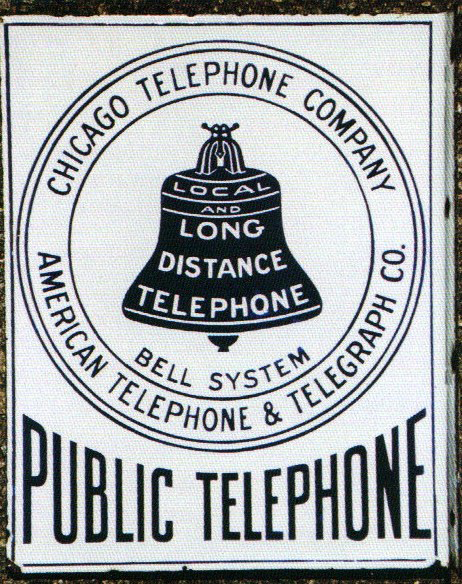 It reads, “Chicago Telephone Company, Local and Long Distance Telephone Bell System, American Telephone & Telegraph Co., Public Telephone” and features a black bell in the center.